As a small to medium business owner, IT management can be a big headache. Your real work is often disrupted by IT issues such as adding new employees, getting your staff’s machines and apps running, and updating software and support. Moving to the cloud with hosted apps and desktops is the best solution for your firm. Let’s look at the benefits of cloud hosting. With a hosted virtual desktop service, employees have access to apps, documents and other resources from anywhere. All that is necessary is an internet connection and an end point device. Employees can get work done on the go and feel like they never left their workstations. Data is safe and always available with a hosted service. If there is a power outage or natural disaster, the offsite data center provides firms with no disruption of service. Data is always secure in the virtual data center which ensures protection with built-in data encryption. With a hosted solution, no IT expertise is needed by the firm. Firms will end up spending less on licensing fees and off-site data storage and backup. Anti-spam and virus management is also provided in addition to 24x7 help desk support. Moving to the cloud with hosted apps and desktops leaves time for your firm to focus on your real work and growing your business. Using the cloud solution, the days of having to manage apps, desktops and servers are in the past. Instead, all the updates and patches are handled for you. 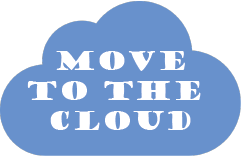 Are you ready to move to the cloud? As year-end rolls around, it is vital to prepare for year-end close well in advance. Some may be wary of the task ahead, but do not get overwhelmed. Here are some things to consider to make this daunting task easier. Reconcile all cash accounts - Verify all transactions have been posted into Vision/Vantagepoint to ensure your general ledger balances matches your bank statements. Make adjustments as required. Final Invoicing – Process all client invoices for the fiscal year. Review outstanding accounts receivables - Follow up with clients who have outstanding accounts receivable beyond 30 days. Send past due statements and/or simply give them a call. Enter the results of your collection efforts in the comments section of Vision Invoice Review. Year-end is an excellent time to collect your outstanding receivables. 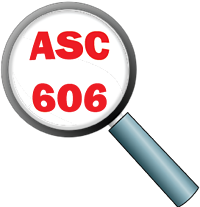 If you determine there is uncollectable AR, be sure to write those invoices off. Review Unbilled detail - Time and expense transactions that cannot be invoiced to clients should be written off at this time. Fixed Assets – Fixed Assets are larger purchases that are made throughout the year (i.e. equipment, automobiles, furniture, computers, etc.). Are all fixed assets reported on the balance sheet still owned? If not, record the sale or disposal of these fixed assets. Verify the depreciation on your fixed assets as well. Make any necessary adjustments. 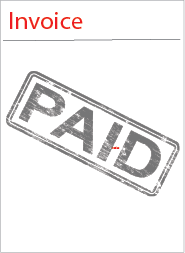 Employee Expenses and AP - Verify that all accounts payable vouchers have been recorded in Vision/Vantagepoint. Make your 401(k), SEP IRA, and Simple IRA contributions, if you have not done so. Try and pay all your vendors and employee expense reports by year-end. Notes Payable - Verify notes payable (i.e. loans) amounts on your balance sheet match the statements from your lenders. Make adjustments if necessary. W-9’s – Order 1099 forms. Make sure all W-9’s from your vendors and/or contractors that are paid $600 or more throughout the year are on file. Don’t forget 1099’s should be mailed on January 31st. 1099 forms can be purchased from most office supply stores or you can order them for free from the IRS (gov). W-2’s – Order W-2 forms if you run payroll in Vision/Vantagepoint. W-2’s should be mailed by January 31st. Budget for next year - Create your GL budget for 2018. Communication – It is vital to communicate to the rest of the firm that year-end is approaching and the important dates that they should be aware of: final timesheet due date, final expense report due date, etc. Reconcile on a monthly basis. Stay on top of your monthly reconciliations. Nothing adds to the stress of year end more than performing several months of reconciliations that could be done monthly. Order year end forms well in advance. Why wait until the last minute to order your 1099 and W-2 forms? By ordering your forms in advance you know they are on hand when you are ready to process. Deltek publishes the Year-End Bulletin each year. This is an excellent resource for preparing for year-end. Make sure to visit the Deltek Customer Care site to ensure you close out 2018 properly and your firm is ready for 2019. One of the most time-consuming processes for accounting is accounts payable (AP). In fact, the entire process from receiving and reviewing invoices to paying the vendor is riddled with opportunities for errors. To make matters worse, 77% of invoices received by companies are in a manual format such as hard copies, PDFs and emails, and the average cost to process one invoice is $34. There is, however, a way to put an end to these ever-present accounting woes – automate the AP process. For Deltek Vision and Vantagepoint, SAP Concur integrates with these ERP systems utilizing the Blackbox Connector integration. When you begin using Concur, you can have all your vendors email invoices to one specific email address. 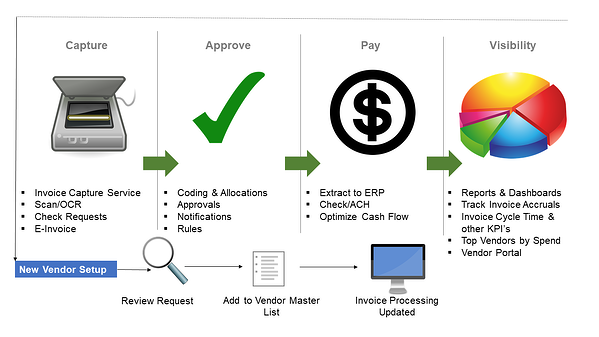 Concur will then use OCR technology to collect the information contained in the invoice which can be reviewed by a member of the accounting staff to approve or deny payment. Once approval has been given, a check or ACH payment can be made. It’s important to note that Concur then uses Expense Types to link all invoices to the correct GL account. This information is then extracted on a nightly basis into your Deltek system keeping it up-to-date. See, it is actually quite simple. Let Concur AP automation work for your firm! Expense management seems to be a difficult task for accounting personnel at many professional services firms. With a workforce that is constantly on the go, tracking spending and enforcing expense policies can provide a plethora of challenges. 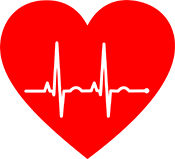 What if there was a better way to manage expenses? Let’s see what firms can do to improve the expense management process. Being on the go means employees must be able to book travel and track expenses from anywhere at any time. Employees and those who approve expenses need to be able to easily accomplish these things from a smartphone or tablet. So, an efficient expense management solution needs to have a user-friendly mobile feature available to all. Not only is it time consuming to have to manually enter information from receipts, it is also prone to errors. Firms should have an expense management solution with optical character recognition (OCR) capabilities. OCR technology enables applications to recognize printed or written text characters so users can take a picture of a receipt, and the application will add the name of the vendor, the dollar amount spent and the date to an expense essentially saving time and reducing errors. Sure, we all like to make travel for ourselves more convenient for our schedules and prefer certain hotels. However, the later flight and the preferred hotel might cost a lot more, and if the policy is to find the best deal, how can your firm know employees are sticking to it? Well, firms should have an expense management solution that compares the costs of flights and hotels to ensure employees are booking the best value. 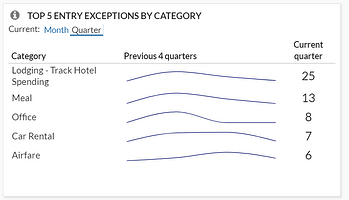 If a more expensive flight or hotel is required, employees can submit a request with a reason indicated. Several core accounting management systems have built-in expense management solutions. However, they often lack the key features mentioned above. This means firms may need to look for a third-party solution provider to gain these benefits. It is important that the third-party solution integrates with the core solution, so do your research to find one that helps keep your expense management process streamlined. It is said that business travel expense is the second most difficult operating expense to manage. By moving away from paper receipts and automating the expense management process, firms can gain better control of employee spending. So, what are you waiting for? Find the best solution to improve your firm’s expense management processes. When Deltek for Professional Services (DPS) 2.0 is released, it will have a new name - Deltek Vantagepoint. In addition to the name change, there will be several enhancements to improve the user experience for both back office and front office users. Here is a sneak peek of how Deltek plans to take the breadth and depth of the Vantagepoint solution to the next level. With the release of Vantagepoint 2.0, Deltek will begin to push users away from the smart client and direct them to the web browser version. Using this version, they will be able to access Vantagepoint from any device that is connected to the internet using any browser they desire. Think of it this way - Vision is the smart client and iAccess is the web-based version. Keep in mind that if your firm is still using Vision, you may want to consider using iAccess more to get comfortable with the look and feel of Vantagepoint. The proposals engine is now being introduced to Vantagepoint, and it is a great feature. For marketing, the proposal process can be extremely time consuming. With the proposals engine, a person creating a proposal can go through and check off boxes based on the requirements of the RFP, and Vantagepoint will automatically create the proposal. It can include images and pictures, employee resumes, past work examples, references and more. The opportunities hub is going away and is now being combined with projects. This has a huge upside for business development. 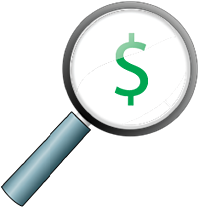 By tracking an opportunity as a project, time and associated costs can be captured to help determine the price of pursuing new work. Additionally, a timeline with milestones and reminders can be developed to ensure business development is staying on top of winning the opportunity. Moving forward, transactions will be managed within a single location. Users will go to one place within Vantagepoint to enter, edit, report, post and approve transactions. Additionally, you will have the option to enter transactions without files and to post on entry. The line item detailed view will still be available. Deltek Project Information Management (PIM) will now be integrated with Vantagepoint. It will be easy to find since it will be a tab in the project record. By using PIM, firms can easily share project related documents and information within one platform. 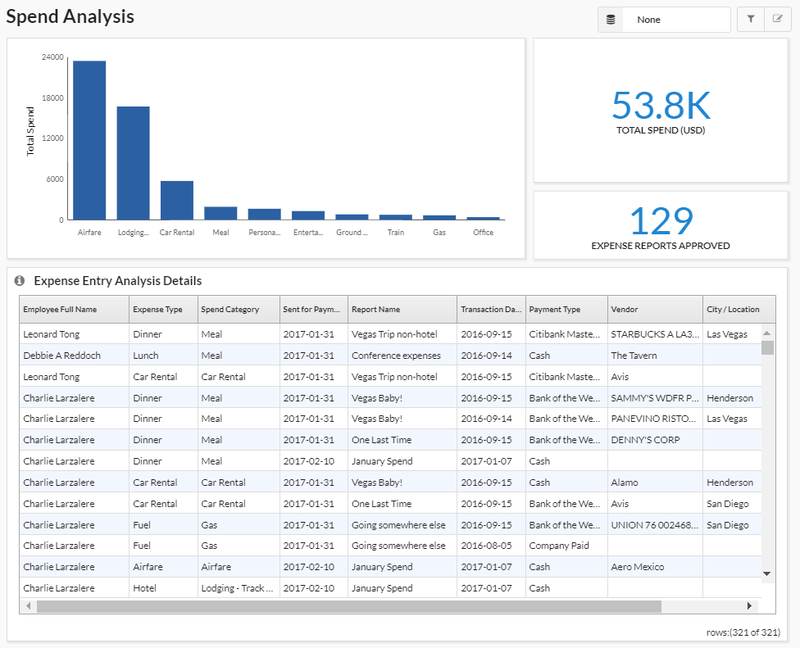 The new improved dashpart designer allows users to create custom dashboards with information that is important to them. 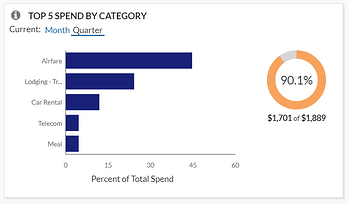 They can select bar and line graphs, pie charts, or other graphics as part of their dashboards. Additionally, users will have enhanced control for grouping, sorting, filtering and totaling data all within the dashpart. The reporting screen will now have a preview menu. When users create a report, the multiple clicks required in the past will be eliminated. The reporting tool will also include charts and graphs. One thing is for sure - 2018 to 2019 will be a transitional time for Deltek Vantagepoint. As Deltek continues to further develop Vantagepoint, more features will be added to further enhance this solution. The most important take away for users is that they need to be aware of the changes coming and they need to be ready to embrace them. For many firms, measuring the financial health of their projects requires them to utilize a variety of different analytics and statistics. However, firms often use project invoices as the primary and only measurement to determine the financial health of a project. Although project invoices are an important element in both a project and firm’s concern, they aren’t necessarily a measure of success. Besides key performance indicators (KPIs), which are leading indicators geared toward firm management, there are other statistics firms need to consider. These include measurements at specific milestones to help evaluate a project’s financial position and make proactive decisions to keep a project on track or facilitate corrective actions. Profit or Variance – This provides a comparison between revenue/earnings and spent at either cost or burden. For projects billed on time and materials (T&M), the project profit should be built into billing rates and therefore a zero variance is an indication of profitability. A negative variance is the result of the writing off time charged. For fixed fee/lump sum work, the goal is to incur the minimal amount of cost while still executing the scope and not compromising the quality. Direct Labor Multiplier – How much revenue is being generated per labor dollar charged is key to managing a specific project and beneficial to measuring against the firm’s overall metric and the goals set. At the inception of a project, the budget will provide the estimated multiplier. Keep in mind that a statistic requires having something to compare it to. Work in Process (WIP) – This is calculated as the difference between project revenue and the amount invoiced. Furthermore, this will help mitigate any at risk to earnings from a project. If revenue is accrued, we must be mindful of the time associated with it being billed and collected. Deferring revenue can minimize or mitigate the risk. Backlog – Indicates what is left to be earned. In other words, it is the future available revenue stream. When combined with all projects, it provides one of the lines on a KPI graph. In addition, it reflects the required full time equivalent man hours to complete and deliver contracted work. It is important to note that all the above work in tandem. For example, backlog can be derived from the ETC. Measuring the financial health of a project requires using several metrics. Additionally, projects should be monitored during the entire cycle from inception to completion. This will allow project managers to foresee possible shortcomings and take corrective action. In almost every business we walk into, AP is the cause of significant, but often overlooked, strain and costs. From sorting through emailed or paper invoices and tracking checks to manually entering accounting information often requiring corrections, these tasks are huge time consumers. Do you know how many people are managing this in your business, and how many hours they spend each week/month? Think about what else they could be doing with this time and how much money could be saved. Did you know that 77% of invoices received by companies are in a manual format – either hard copies, PDFs, emails or faxes? The average cost to manually process just one invoice is $34. Using a manual system, there is limited visibility into who needs to get paid what and when, not to mention the possibility of late fees or the dreaded double payment. To add to this issue, any disruptions or delays in payments can jeopardize critical vendor relationships. By automating your invoices into and through your system and eliminating errors, the average cost per invoice is 80% less. 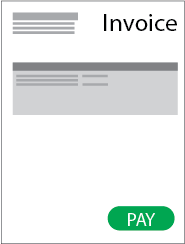 Multiply that times all your invoices and see how much you can save. It just makes financial sense to go with AP automation. With AP Automation, you can connect every step from purchase requests to processing and payment with one solution eliminating paper and costly mistakes. Invoices of all types get captured electronically and matched against POs and goods received before being automatically routed for approval. Your staff simply reviews the invoice, makes any corrections necessary, fills out the Project, Phase & Task information, as well as Expense Type, then submits the invoice to be routed through your process. Your firm can also establish policies to automatically route invoices from specific vendors or projects to the appropriate staff members and to code those invoices and flag exceptions. Your firm’s approval process can be as simple or complicated as you need. The approver has the ability to approve, approve and forward or send back to the submitter. A comment can also be added that will communicate the reason for not approving. 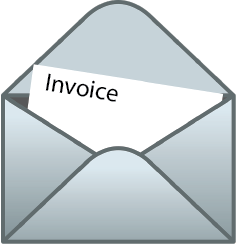 The communication thread is maintained with the invoice as it flows through the system and even after it is paid. You can always see what was discussed during the approval flow. How does this all get back into Deltek Vision, you ask? With the Blackbox Connector, integrating Vision and Concur is simple. Of course, there are some mandatory fields that must be synced – for example, the Vendor ID and name. However, you can choose what additional data is synced. Do you need to send the vendor type to Concur? Have you added a custom field you wish to include? The Blackbox Connector mapping will allow you to sync the fields you want with a simple click and drag. This works on any field from Vision into Concur. All you do is ensure that a field is in Vision and is in Concur to hold the data. Within some limits, you can also control what comes back into Vision for the AP transaction file including the images associated to the invoices. Your accounting team will likely be concerned about everything going to the correct GL Account. 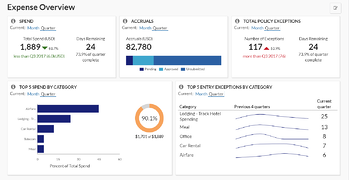 Concur uses Expense types for the entry data. The Blackbox Connector for Vision to Concur allows for these Expense Types to be translated into Vision GL Accounts based on the project type used, which allows for your GL coding to be automated and standardized, significantly reducing errors. What about the periods? How do you control what period this goes in? Simple, the AP transactions go into Vision as an unposted status. This gives you the ability to post the transaction to the correct period. AP Automation is a simple phrase that, as you can see, solves a not so simple challenge facing almost every firm. In addition to lowering your costs, you also get the added benefits of better control over and improved visibility into your spending. Automate AP and free up your team to take on bigger challenges and make a greater impact on your firm!